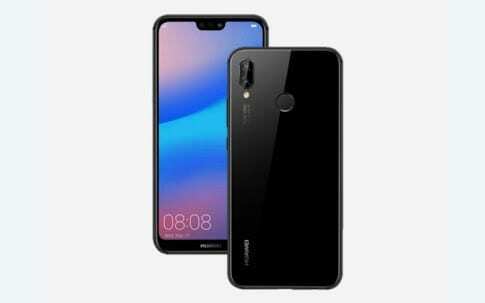 Despite being a mid-range smartphone, the Huawei P20 Lite retains the glass and metallic build of the more premium variants. Unlike the other smartphones, it has its own fingerprint sensor at the backside and am audio jack too which is preferable for some. Although it also comes with a notch at the top of the display just like the iPhone X, the notch is slightly smaller. The dual camera module protrudes from the rear panel with the flash below it and Huawei logo towards the bottom. For photography, the Huawei P20 Lite employs a dual rear combo on the rear side. A trend that is far becoming a norm in mid-range and high-end smartphones. Going forward, the smartphone has a 16MP main camera and a secondary 2MP camera on the rear side. Up front, you’ve got a 16MP selfie camera which also doubles for the Face ID feature. Moreso, there is a reduction of power seen in the SoC installed on this smartphone. Which is typical of Lite smartphones all over the place. 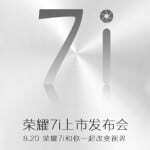 In this case, the Huawei settles for a HiSilicon Kirin 659 chipset, not a bad option right? Accompanied by a Mali-T830 MP2 GPU that sorts out graphics on the device. In addition to all of these, the smartphone has a 4GB memory space aligned with either 32GB or 64GB built-in storage room for saving your files. However, there is a chance to expand up to 256GB with a memory stick if you want more space. It also happens to run on Android Oreo with EMUI 8.1 on the smartphone. 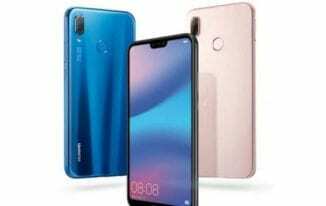 The Huawei P20 Lite is available in a number of online stores for about 161, 000 Naira with some probable added cost depending on your location and the deal.